1. Ball mill is a key equipment for further grinding after the primary crushing. The material evenly enters the first chamber of the grinder from the quill shaft in feeding device. The chamber is equipped with a ladder liner or ripple liner and steel balls in different specifications. Centrifugal force caused by rotation of barrel brings the steel balls to a certain height and then falls down, which produces heavy impact and grinding effect on the material. Materials after rough grinding in the first chamber shall enter into the second loaded with flat lining plate to go through further grinding, finally the ground materials are discharged by the discharging grate plate. Ball mill is widely used in cement, silicate products, new building materials, wear-resistant materials, fertilizers, ferrous and non-ferrous metals, glass ceramics and other industries. According to the processing technology, it is divided into two grinding ways-the dry and the wet. Besides,wet ball mill can be divided into tabular type and flowing type. 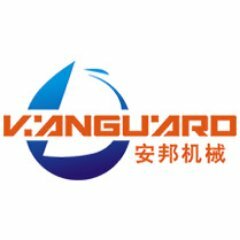 Company Name Zhengzhou Vanguard Machinery Technology Co., Ltd.